Member and friend, Richard Matthews, of Wild Images and Table Mountain Films, has tragically been killed in a plane crash whilst filming aerials over Namibia. He went missing on Sunday the 3rd of March and, after a wide search, his aircraft was sadly then found crashed in an area near Sesfontein on the following Tuesday morning. Richard was with his pilot, Mark Berry, who also died. All our thoughts are now with Richard's wife Samantha and their two children. A Wild Dog's Tale is the extraordinary story of a lone African wild dog living in Botswana's Okavango Delta, who forms a close friendship with with jackals and hyenas. "We'd like to thanks our friends at National Geographic who are dedicating the film to Richard." 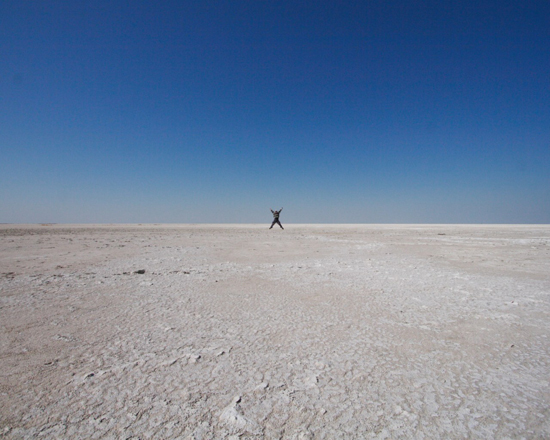 The film has been selected to be a finalist at the 36th International Wildlife Film Festival in Missoula, Montana. An informal memorial service to celebrate Richard Matthews was held at the Matthews home on 6th April 2013. All who knew Richard were welcome. Richard was an internationally recognised wildlife filmmaker with over thirty years of experience in production, camerawork and directing. Born in South Africa, Richard had two honours degrees in Life Sciences and in Film, Photography and Television. 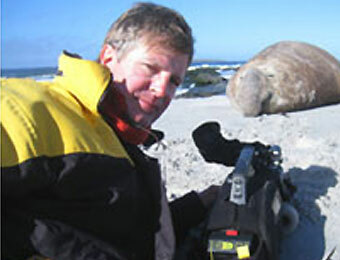 After working for six years in the BBC Natural History Unit Richard turned freelance to film in the Serengeti with Alan Root. His film, Queen of the Beasts, showcased a classic encounter of infanticide in lions. During this time Richard designed and developed the vehicle balcony door mount now universally used in wildlife filming. 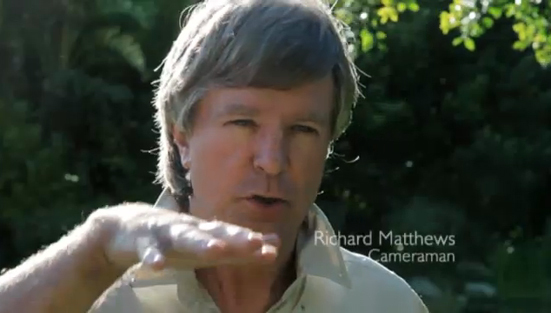 Richard’s UK production company pioneered the theme of dangerous and deadly creatures in it's series Nightmares of Nature. In 2004 Richard moved to Cape Town and specialized in aerial photography. He developed a number of gyro-stabilised aerial camera systems for use on light aircraft and helicopters. Recent credits include the BBC feature The Meerkats, Amazon with Bruce Parry, and the National Geographic Migration series. His films won numerous awards including five Emmys and a BAFTA. Richard’s last venture with colleagues Joe Kennedy and Katharina Pechel was a new television production company Table Mountain Films with White Lions and Solo the Wild Dog their first commissions. A celebration of Richard's Life and Work was held at Racks Wine Bar, St Pauls Road, Clifton, Bristol on Friday the 24th of May, 2013.